British housewives spend more time than any other group online, according to a new survey - no wonder they're dog tired! 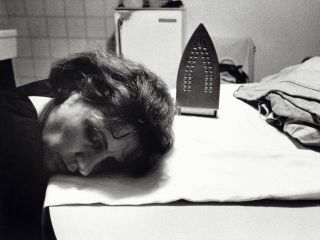 Bored housewives idle away more of their time on the internet than anyone else, according to a new survey. According to the new Digital World, Digital Life survey by research company TNS, housewives spend 47 per cent of their time online, more (proportionally) than workers, the unemployed or students. It also seems that British housewives are more tech-savvy than any others, using the internet more than housewives in the 15 other countries surveyed by TNS. Britons spend 28 per cent of their free time online, with 18 to 24 year olds spending 32 per cent of their free time online. Arno Hummerston, Managing Director of TNS Global Interactive, said that surfing the web should not be considered a time-wasting activity: "By spending productive time online, we are actually making more time for leisure."